Are you being authentic on your blog? What do I mean by this? Well, are you looking for ways to personally connect with your audience that can drive deeper engagement with your content? Have you shared your story? Have you shown a vulnerable side? Are you sharing personal experiences no matter what your niche is? The point of being authentic and telling your story is so people can connect with you. People are on your blog for your great content, but once you build a loyal following they are visiting your blog for YOU! Think about your unique voice. There might be thousands of fashion blogs out there, but what makes yours different? What insight or personal experiences can you share about your love of fashion (or your niche) that will give your audience a truly unique experience? Don’t be afraid to get personal. If you started your blog to help you communicate better because you’re an introvert or because you have experienced mental health issues and you want to help others – rip the bandaid and tell your story. You might be REALLY SCARED at the thought of it, but I can tell you it will make you feel fantastic for sharing. I strongly encourage you to share and let me know how it feels 🙂 This is an extremely personal post that I shared. Show your passion. When you first thought of starting a blog I’m sure you were extremely excited at the thought if it. tape back into your feelings from this time and bring that enthusiasm and passion to your regular blogging voice. If your audience can feel your passion it will allow them to be way more engaged in your blog. Here’s what happened… I received personal emails, I made new connections with people all over the world, I didn’t feel so alone, I helped others who are going through the same and I lifted a weight! So, let’s talk about how you can apply this to your specific niche. You might be finding it hard to think of ways to be authentic and tell your story (or stories) so here are some examples that work for several niches. Mental Health – Share what you’ve been struggling with. It can be extremely scary to share something so personal as a mental health illness, but I encourage you to think about the goals for your blog. If it’s to help people (which I bet it is), sharing personal experiences is a great way to connect with your audience and let hem know they are not alone. You’ll most likely find that people share the same challenges. Personal Development – This is a bit of a broad category as personal development can be connected to a multitude of areas in life. I look at this as an opportunity to share many stories. Yes, in blogging we need to keep the user in mind first and talk about how we can help them, but if you have a valuable tip to share that has worked wonders for you, your readers will be extremely grateful to know this. Health & Fitness – You may be working on getting healthy and losing weight or becoming a strong woman. Did something get you to his point? Did you create your blog as a way to be more mindful of your journey? Share your experience and your why as this will help your readers come up with ways to help them stay committed to getting healthy. You can easily weave what inspires you or past experiences into each and every blog post. Fashion – Get personal. Your audience may know that you love fall styles – but have you considered sharing a story from the past on how you felt when you went back to school shopping or when you FINALLY got that polo shirt you were begging for forever. Or share how you feel when you get dressed up. How does this help you show up in life? Parenting – Really think about your audience here. Are your readers aspirational? Are they stressed parents? Maybe both? What I can say is this; parents never feel perfect. So try showing what life really looks like on your Instagram feed instead of those beautifully styled shots. You could even show some blooper shots before the ‘perfect’ one is shown. Everyone loves progress and to know that your life isn’t perfect either! Homeschooling – Share your ultimate fail as a homeschooling parent… what happened, how you felt, did you want to give up? There will be many homeschoolers that could be questioning their decisions so letting them know that you don’t always have it together will let them know they are not alone. Share your passion for homeschooling as much as you can to inspire people to keep going. Blogging – Share what your first pin looked like compared to your most current one. Communicate what sucked about your first and what’s important to know about your current. It’s okay to let your audience know that you have optimized along the way. You made mistakes so they don’t have to. Trust me, they will truly appreciate this! You could also share a screengrab of your first post as there’s a chance it’s no longer live. That would combine nicely with the what not to do’s of blogging 🙂 The overall goal here is to let your readers know that succeeding in the blogging world takes work and doesn’t happen overnight. 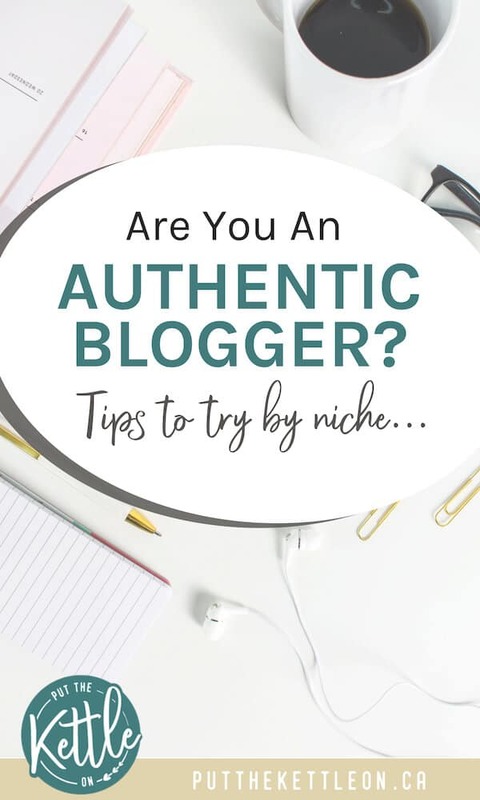 I haven’t covered every single niche here and many of you will not have a specific niche, but I hope this gives you some ideas for ways to be an authentic blogger with your audience. Sharing your passion and experiences on your blog will elevate your success in so many ways. Now, I’d love to hear from you. Are you currently sharing personal parts of you in your blog? How did it feel and what was the reaction from your audience? Very true. The only thing that keeps me going with my blog even though I’m not seeing much progress yet is passion! I’m passionate about what I write about. You definitely have the right way of thinking. Passion is where it all starts! Great post, and I definitely agree. I’m a bit of a mix when it comes to my blog so I don’t focus on just one thing. However, I am trying to be more open and share more personal posts because I appreciate those posts on other blogs. Plus, I want people to get to know me better. I’m the same – I write about many things (under one arching theme). I think there are a lot of ways you can give some of your personality in every post. I always love to hear about personal experiences! I love this post. It’s so easy to just throw up a post, but it is pointless if I am not being true to who I am and also being transparent with my audience. I needed to read this today. I have been struggling with how to stay true to my niche but also reaching more diverse readers. I am passionate about my topic so I must stick to this in order to be authentic. Authenticity is why readers are drawn to certain blogs. I write about several topics on my blog, but food is my #1 topic. I like to add a little personal touch to each recipe. I have a fairly new blog and I am passionate about it. Great post! I love to write super personal posts and I have been trying to do that more! I must say I put off opening up and sharing something personal recently on my blog. Then last month I just did it and the kind and supportive comments received confirmed (again) that my blog is my space. I’m allowed to be vulnerable and open up. These are such great tips! Authenticity makes such a difference to your readers. Yes! I blog in the mental health and personal development spaces and what resonates with readers is personal experience! If my audience can relate to me, and me to them, it makes my message that much more powerful. “It can be extremely scary to share something so personal as a mental health illness..”- I can so relate with this. I write about personal experiences with depression on my blog quite often. Some well-wishers cautioned me about it as mental health attaches lots of stigma in my country and what if some potential employer goes through my blog? But blogging is my passion and I want to remain true to it. Thanks for sharing your tips. Pinned the post. I really love seeing other bloggers be so passionate about this topic, and so focused on ensuring that they’re always being authentic. It definitely reminds you that this community is such a genuine one, and one that I am so proud to be a part of. Bloggers are the best! I definitely try to mix personal tidbits along with some good hard facts/tips! Thanks for this great post. Hi! Great blog! To answer your question, yes, I feel like my blog is all about authenticity to the point I’ve questioned if it’s professional enough. Messages like what you’ve included here boost my confidence and security that I’m on the right track. Thank you for your insight and investment into encouraging and coaching others! Personally, for me, I don’t like to write/share too much personal stuff on my blog. I like to keep things private. But I like to consider myself an authentic blogger. These are great tips! I blog about homeschooling, and my most popular post is about a homeschooling fail! I’m sure all your other suggestions are right on, too! I write about self-development and I often wonder if people really want to know how things work in my own life or if I’m boring them. Thanks for the encouragement to keep sharing! Hi Nicole! That’s cool that you started another blog! Congrats! That’s a big undertaking to have more than one blog. Great post! I think my blog falls under the personal development category since I blog about living as a Christian millennial. I like to share what I’m doing with my life on my blog and what other women in their late mid-twenties can do too! I will always try to be authentic and not try to act like somebody I’m not. Thanks Kiersten. 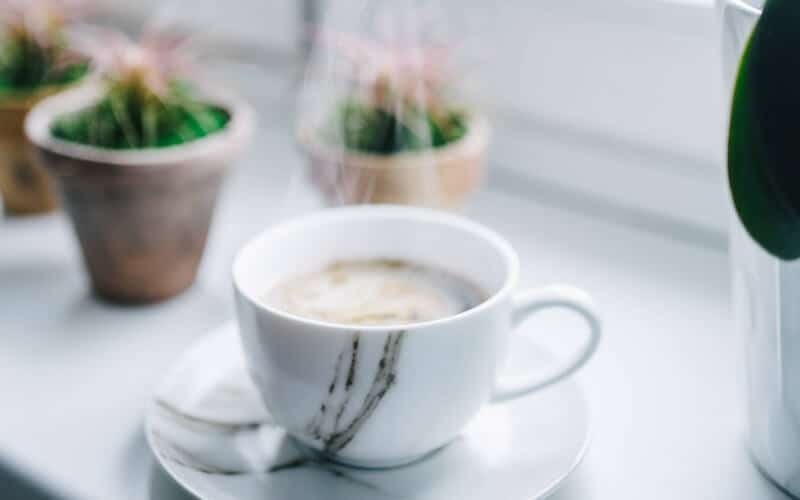 I think when you have a personal development blog at times you need to show even more of yourself, so I’m glad you’re giving personal inspiration to your readers! I think it’s very important to be yourself with whatever you decide to do but especially with blogging. Thanks for sharing! Thanks for sharing this post, as a travel blogger I have centered my website around telling “truthful” travel stories- the good, the bad and the downright ridiculous parts of travel. I think that authenticity always gets better results! Really good advice here, it can be hard to be authentic online. Yes to all of this!! I’m a mommy blogger so I feel like it’s pretty easy for me to be authentic with my audience. I’m constantly showing behind-the-scenes looks at our life on my Instagram stories and I post about important parenting topics and open up when I’m struggling. That authenticity is really important to me in my blog and business. Hey Keating! It’s so good that you open up to your readers. I find that it makes blogging that much more fulfilling too. Such a great way to connect. So true! Being authentic helps connect with others eapecially if they are going through similar life situations. Great tips! Absolutely! Definitely a great way to connect on a personal level. 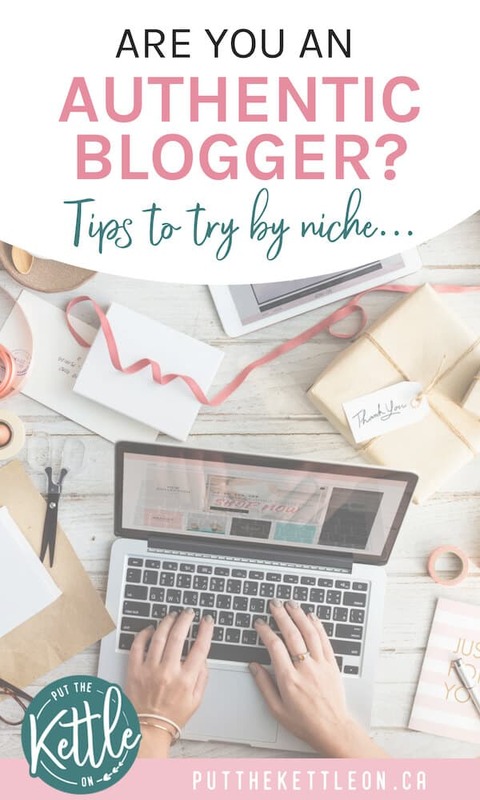 I don’t think that a blogger is inauthentic if they don’t share their personal experience, BUT the tips that you’re sharing can definitely help a blogger in becoming more relatable and less impersonal. Nice write-up. I agree with you Hank – I certainly wouldn’t say someone is unauthentic if they don’t share personal experiences. I do however think that if you can share how you feel about something, it gives your readers a way to feel more connected to you and this is authentic! Thank you for reminding us about the side of blogging that is sometimes so easy to forget. Very true. And it can be hard to be authentic at times (like if your personal story is extremely vulnerable or painful for you), but it’s the only way to really connect.